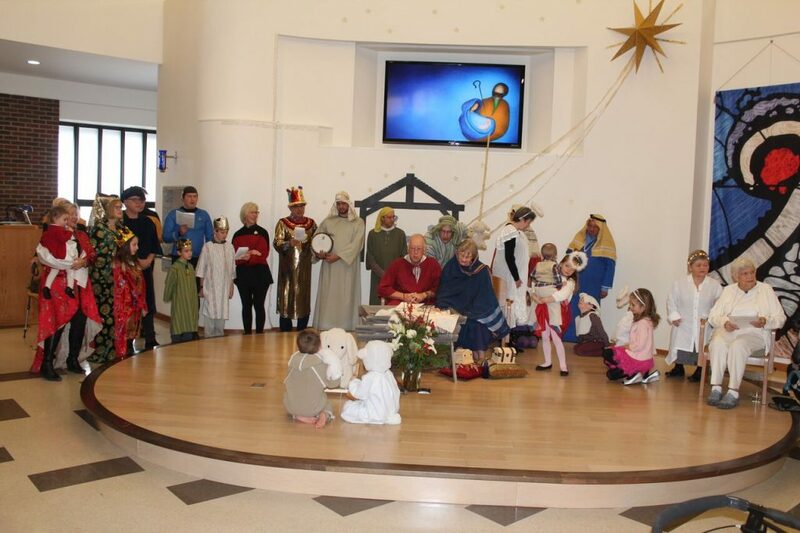 St. Laurence offers a variety of groups and activities for all ages. New members are always welcome. If you have any questions about these programs please contact the Church Office. From time to time, the music ministry at St. Laurence also includes vocal or instrumental “ad-hoc” contributions from other members of the congregation. Instruments used have included saxophone, clarinet, trumpet, violin, double bass, guitar, and bagpipe in addition to piano and organ. The main instrument used Sunday by Sunday is a three-manual 42-stop Phoenix digital organ that was originally installed in 2003. In 2015, we also purchased a Hoffmann 6 ft. Grand piano that is also used regularly. Children and youth are always welcome in worship. School-aged children who wish to take part can spend a portion of the service time in Sunday School. There go downstairs for Sunday School before the first reading and rejoin the congregation to receive the Eucharist. Our Sunday school program has been developed and is overseen by our Coordinator of Children’s, Youth & Family Ministry, Phyllis Hawley, who is a paid member of our staff. Most Sundays the class is led by Julia Hassan. This class follows an interactive and Biblically-based curriculum. The children explore Biblical stories and themes using games, songs drama, crafts and other activities. Once a month instead of having a ‘lesson’ they live out their faith by making sandwiches for the Drop-In Centre. There is also a nursery, staffed by Keira, for younger children. St. Laurence runs a variety of programs for adults. Opportunities are posted on our announcements page as well as on the Wisdom Centre website. At any given time, we are likely to have a book study, DVD program, ‘Sacred Cinema,’ ‘Poetry as Spiritual Practice’ or similar. In addition to these weekday and weeknight programs almost every Sunday after church 10- 30 parishioners gather for what is affectionately termed ‘Conversations.’ This is a drop-in program where all who are interested gather downstairs after worship (usually from about 11:30-12:15 pm) and converse about any number of topics. Usually the session is led by the clergy. Past topics include a series on ‘The Joy of Worship’ and another on “Anglican Theologians.’ Other days the time is used to talk about the service or sermon in a relaxed and informal way. The Wisdom Centre, an outreach project of St. Laurence, also provides Adult Spiritual Development opportunities. The Rev. Carolyn Herold chairs the pastoral care committee at St. Laurence. The clergy and volunteer members of the parish join in visiting the sick and shut-ins and taking communion to those in need. We also have a trained Stephen Minister who provides support to individuals facing challenges in their lives. There are a variety of ways that the St. Laurence community gathers socially. An important part of being a Christian community is building relationships of trust. In any given month there are a few social events that are ‘drop in’ and open to all. 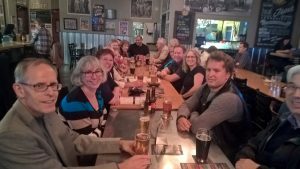 There are both women’s and men’s lunches (we call these Loretta’s Lunch and Larry’s Grill), a men’s breakfast (Larry’s Griddle), a women’s coffee morning and a pub night at Wildrose Brewery open to all. In addition to the above, the parish runs Foyer Groups. 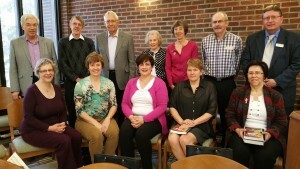 These are groups of eight to ten parishioners (couples and singles) who commit to meeting in one another’s homes once a month for approximately a year in order to get to know one another better. New groups are organized once a year and new members are always welcome.